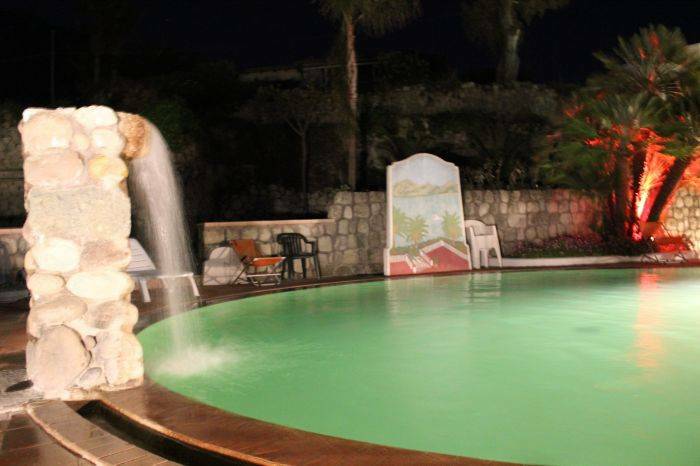 Paco Residence is the best place for a good relax and for a beautiful holidays in Ischia Island, there are two swimming thermal pools with idro-massages, sauna naturale, private parking, barbecue. The residence has a big garden with many exotik and tropical plants with many flowers. 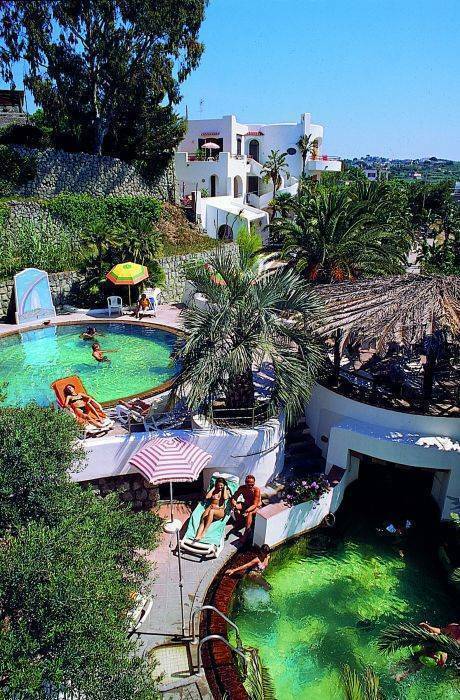 All Apartments has a private kitchen, private bathroom, tv, ventilation or air condition (at request with 5 euro per day), garden or terrace or balcony, they are many confortable for a good holiday in Ischia Island. We have all private apartments with private kitchen, private bathroom, terrace or garden, tv-color, air condition, heating, they are many confortable for a minimum of 2 person to a maximum of 5 or 6 person. 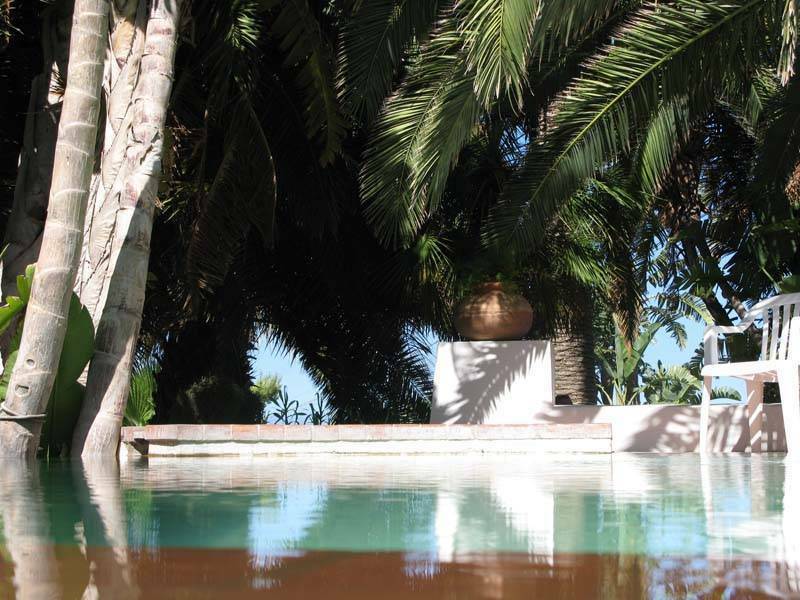 PACO RESIDENCE IS 1700 METERS FROM FORIO PORT. WE ARE NEAR BUS STOP OF HOTEL IMPERIAL IN CAPIZZO PLACE, AT 900 METERS FROM CITARA BAY. 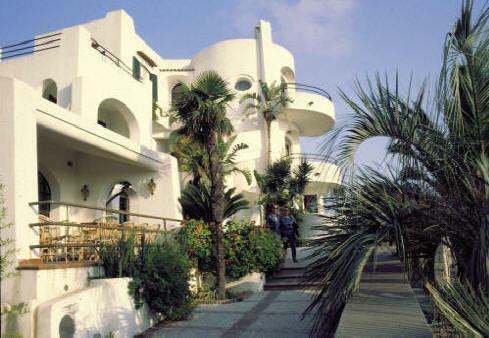 Paco Residence is in Forio d'Ischia in Capizzo place at 900 meters from CItara bay, we are at 150 meters from bus stop of Hotel Imperial. When do you arrive in Bus stop of Hotel Imperial, 50 meters early there is our street Via Cesa and on the wall there is a tabelle Paco Residence, you will walk for 150 meters and you will find us. 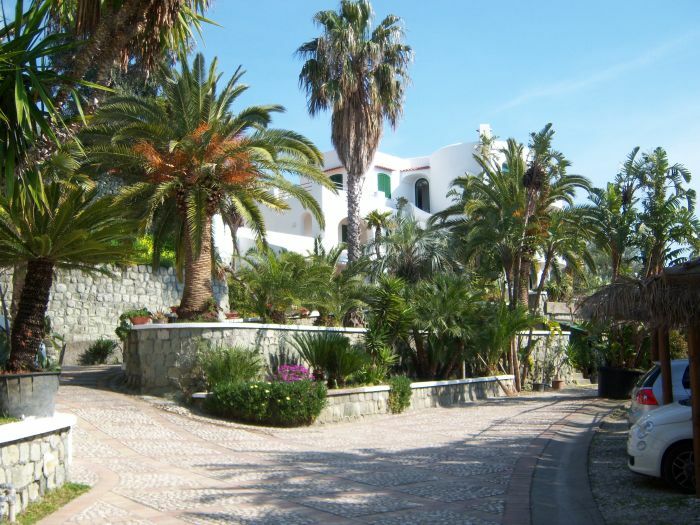 For arriving to us you can take hall bus that go in Forio d'Ischia or taxi.